TSP Legal > News > General News > Thinking of Extending Your Property? Laura Finnigan of the TSP Residential Property team discusses extending your property. Most major changes to existing properties (or land) need consent, known as planning permission. If an owner is thinking of extending their home in any way then the first step is to log onto www.planningportal.gov.uk to find out more. The Planning Portal for England and Wales is an extremely helpful interactive website which provides extensive guidance regarding planning, permissions needed and building works. The owner’s next step would then be to contact their Local Planning Authority to discuss the proposed changes to their property before starting work. Planning rules are different for property in a Conservation Area and for Listed Buildings; so if this applies to your property you will, in the main, always need planning permission before making any changes to your property. 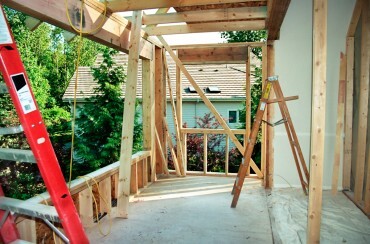 With all building work, the owner of the property (or land) is responsible for abiding by the relevant planning rules. Failure to comply with the applicable rules will result in the owner being liable for any corrective action which may be needed – which in some cases can go as far as knocking the building work down and starting again. The extension must not go beyond 50% of the total plot of land around the original property. Materials to be used in the extension need to be similar in appearance to those of the exterior of the existing property. Single-storey rear extensions must not extend beyond the rear of the original property by more than 3 metres if an attached property or by more than 4 metres if a detached property. Single-storey rear extensions must not go beyond a height of 4 metres. Even if planning permission is not required, when an owner of a property is thinking about carrying out an extension, it is always sensible to talk to the neighbours. It is also important to note that even permitted development, not requiring planning consent, may well require Building Regulations Approval. Building Regulation requirements are entirely separate from Planning Permissions, and the need for such approval should always be checked with the local authority’s Building Control department before works commence. In a property transaction, if an owner has carried out any building work since they purchased the property they will need to provide copies of the relevant Planning Permissions to their buyers or explain why permissions were not required.